Dinner recently at WaBa Grill, in the Pavilions shopping center at Myrtle and Foothill, where the old Subway used to be. 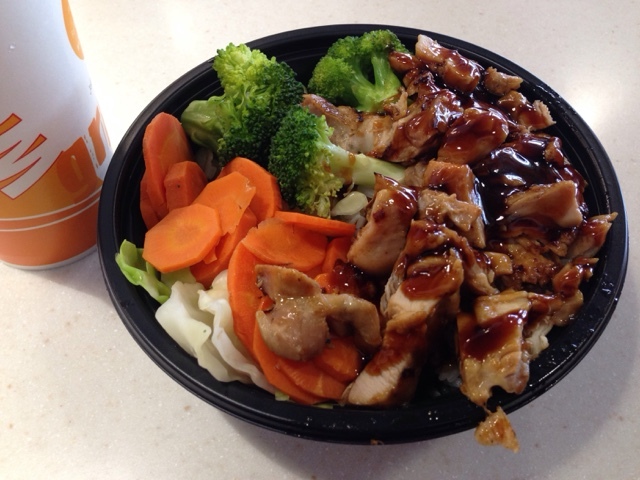 This is rice bowl kind of place, very much like Flame Broiler. I got a chicken and veggie bowl ($6.75) and a drink ($1.80). It was good. And Merry Christmas, by the way!